Congratulations for completing the 2018 Investment Outlook Seminar Quiz. Please check your responses against the answers below. 1. Bob Landaas noted that the Federal Reserve is likely halfway through raising short-term interest rates. Which one of these DOES NOT follow? b) Reach for higher yield with lower-quality bonds. In fact, Bob advised to seek higher quality in bonds. For what lower-quality bonds have been paying out, investors haven’t been compensated enough for the greater risk involved – especially considering that bonds are supposed to be part of the less risky side of a balanced portfolio. c) Except for China, global economies remain synchronized, thanks to the U.S. dollar. Global growth has been slowing at the same time the U.S. economy has been gaining momentum. China is leading the slowdown abroad. 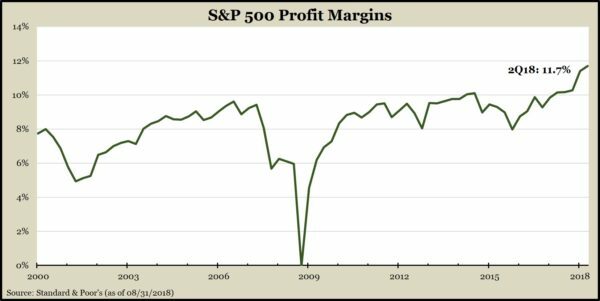 b) Profit margins are narrowing. Actually, profit margins usually do narrow late in business cycles, but margins have continued to rise, helping to sustain corporate earnings. d) The yield curve is flattening. In fact, an inverted yield curve is a possible predictor of recession. Bob explained why the current movement in the curve might be less worrisome than in the past. Learn more by viewing “How interest rates are shaping up,” a Money Talk Video with Kyle Tetting. d) Inflation already is high, which could force interest rates much higher. 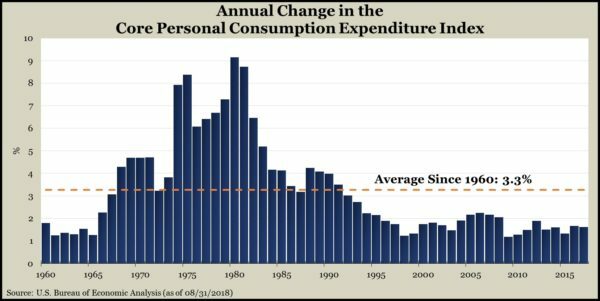 While a majority of past recessions resulted from inflation-fueled interest rate increases, Bob said inflation is a non-issue, at least for now. Various indicators, including the Federal Reserve’s favorite measure, show inflation below average. a) Growth stocks tend to hold up well in market sell-offs. To the contrary. As a rule, growth stocks “sink like rocks” when markets deteriorate, Bob said, explaining why investors should limit their enthusiasm for growth stocks. Learn more by viewing “Retaining value in your stock portfolio,” a Money Talk Video with Marc Amateis. Learn more by viewing “5 things to do when stocks aren’t cheap,” a Money Talk Video with Marc Amateis. b) To suggest keeping 40% of a retirement portfolio in relatively safe investments. 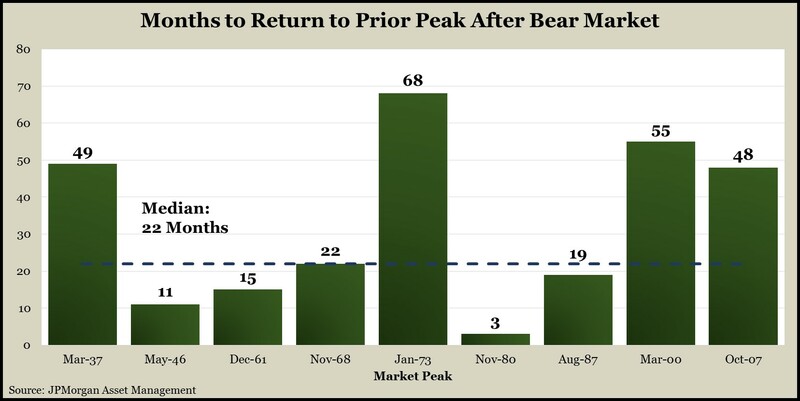 As Bob noted, keeping 40% of a portfolio in lower-risk bonds should cover 10 years of 4% annual withdrawals, which would outlast prior bear markets and give stocks time to recover. Learn more by viewing “Deciding which retirement accounts to tap,” a Money Talk Video with Dave Sandstrom. a) As long as profit margins are high, increase your portfolio’s share of stocks. In fact, Bob said to consider moving portfolios below 60% in stocks. Bob showed U.S. stocks rising 320% since the 2009 market trough, vs. 200% for Japan, 150% for the emerging markets and 64% for Europe. Learn more by viewing “Global exposure via large U.S. companies,” a Money Talk Video with Marc Amateis.